A bookstore under your one tap. 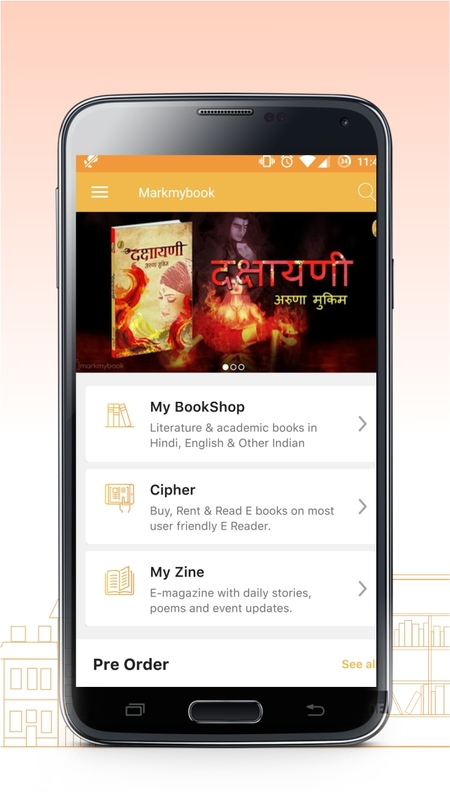 An app for both print & E-books. 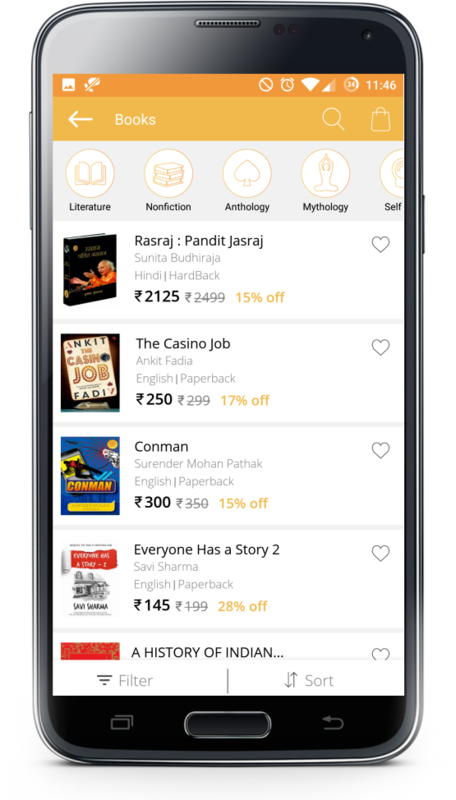 Here you can buy fiction, non-fiction, bestseller novels and academic books. 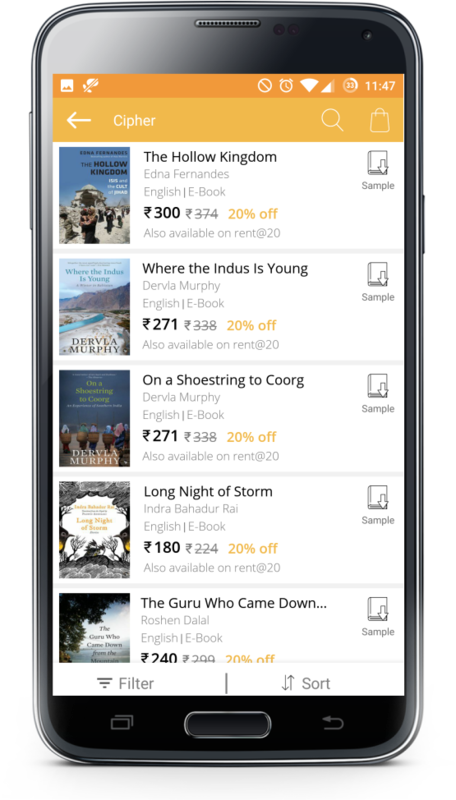 E-books are available for rent, buying and we’ve a huge collection of free e-books too. So! What are you waiting for? Just insert your number and get the app. Pin points the book you’re looking for. 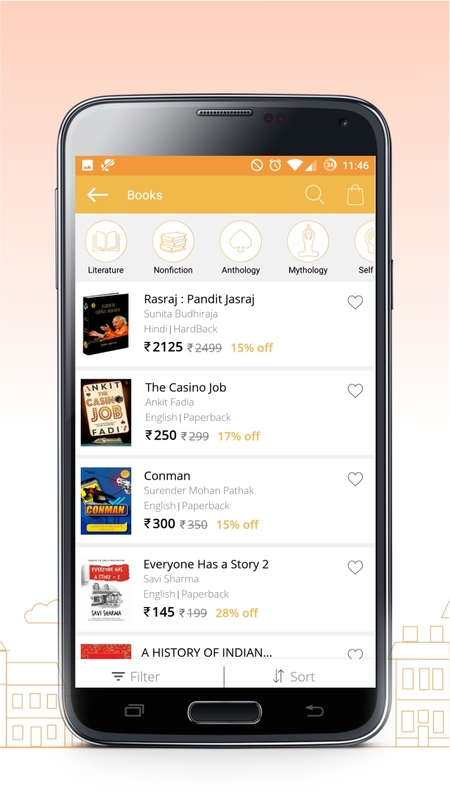 Every book is finely categorized under categories & sub-categories for easy browsing. We recommend to use filters for finer results. 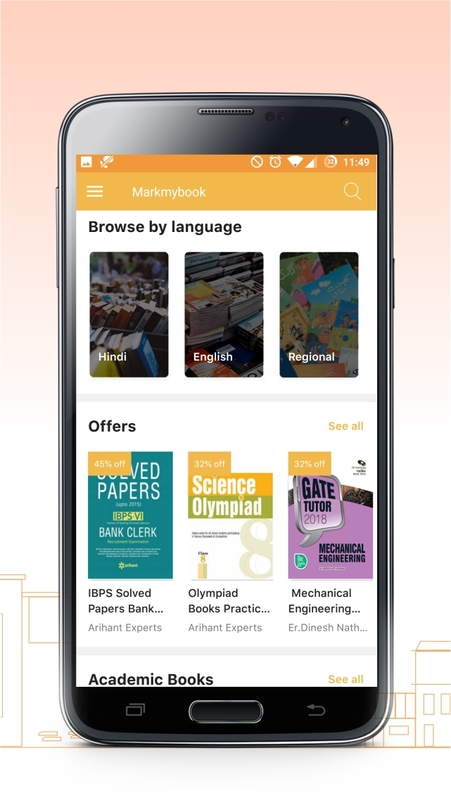 Your own mobile bookstore is just a click away. Whether you love to read the latest or you’re the one who want to be among the first to hold the book we’ve almost every publisher’s book with us. 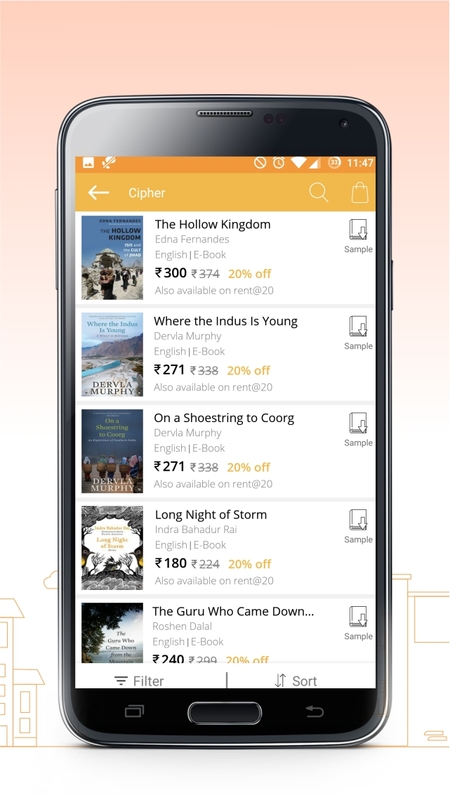 Be it a fiction bestseller or nonfiction classic, English prose or Hindi drama you’ll get all at one finger tap. A book costs much more than you pay for it. It costs you the precious time you indulge in reading it. How about reading an extensive sample before buying it. 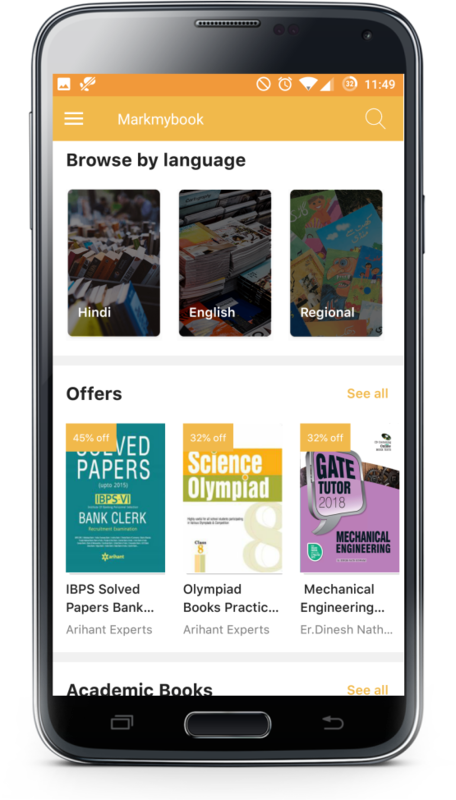 Sounds good, we’ve added free samples of many books and adding more and more daily. 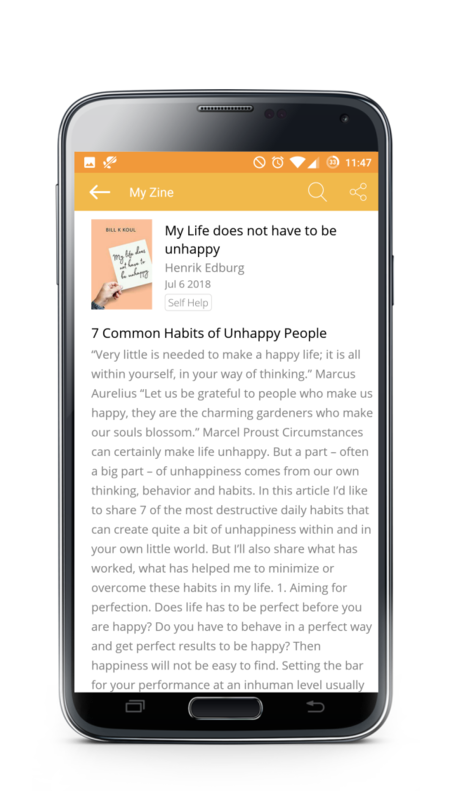 Get the app and read sample before you buy the book. Ok! So you’re interested in much more than books. 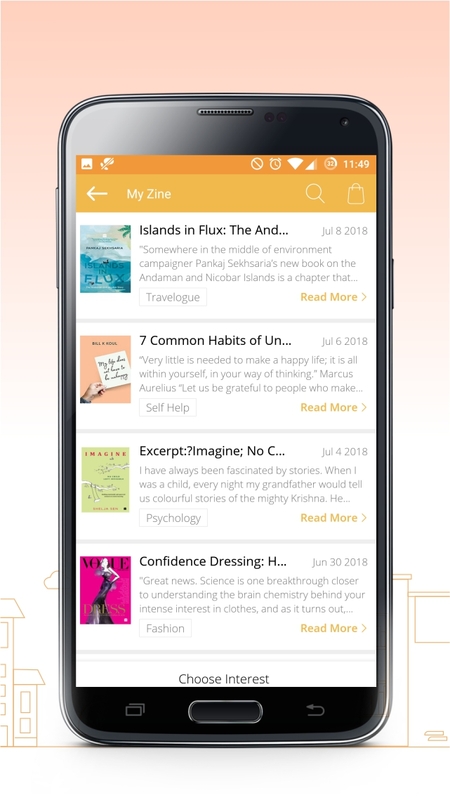 We’ve reviews, excerpts, interviews, free short stories and latest buzz of the lit world in Myzine. It’s a whole new experience an online magazine tailored as per your interest. 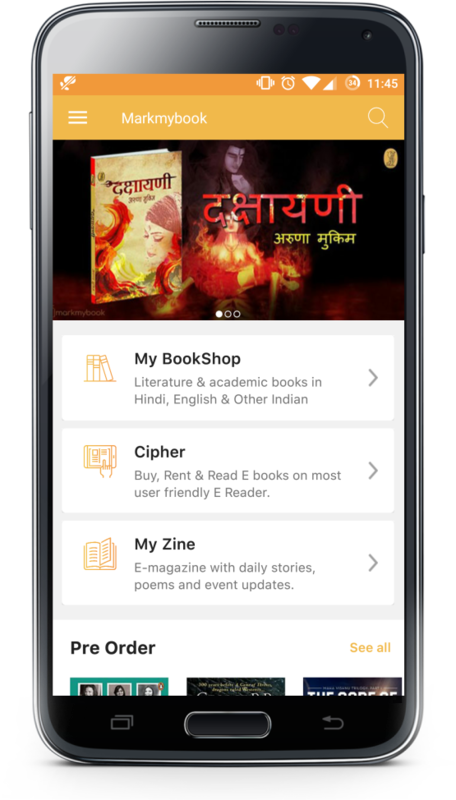 Our humble gift to book lovers it’s an effort to read beyond books.